The IHM- SJW Military Ministry was established to extend hospitality, assistance, encouragement and recognition to Veterans, survivors of the fallen, Wounded Warriors, their families and those still serving in the Armed Forces. Ours is not an organization of political motivations or advocacy, but is an opportunity to share our faith and serve others in our community. It is a goodwill ministry in celebration of those who have served our country and who continue to serve for the betterment of our communities. Inspired by the generosity of the parish family and the enthusiastic support of Fr. O’Hara, our ministry continues to flourish! The Military Ministry welcomes all parishioners to participate as a Volunteer or guest at any event. All ideas and suggestions are welcome! All events are FREE! A pot luck dinner celebrating the Feast of St. Joseph is held in March. Donated pantry goods are given to Veterans in need. This annual event is held at St. Joseph the Worker parish hall. We celebrate Flag Day with our Red, White & Blueberry Shortcake Social! This delicious event has become an annual event. 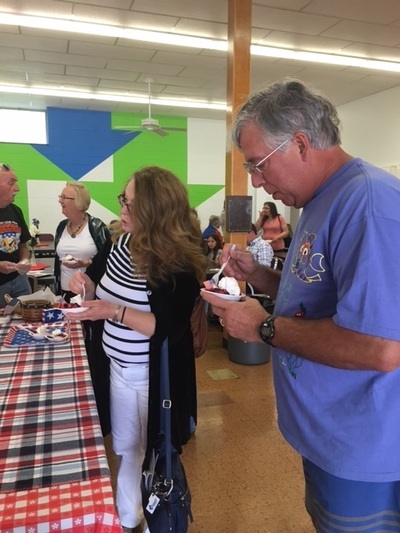 In a spirit of bereavement support for deceased parish Veterans, condolence cards are sent to family members and Military Ministry Volunteers are available to assist at funeral luncheons. Please let us know if your deceased loved one was a member of the Armed Forces. 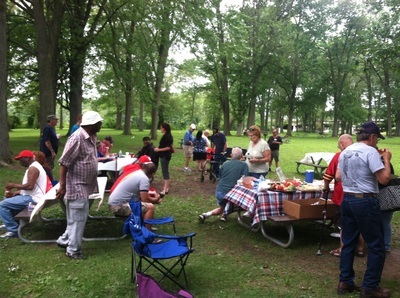 Ongoing friendship and encouragement is provided to the resident Veterans of Van Keuren Square, 2223 East Genesee Street, Syracuse, New York, 13210. We have enjoyed getting to know the residents through visiting, preparing and sharing simple meals, gardening and sharing pleasant conversation. We try to meet every other Friday in the community room at Van Keuren Square. Together in faith, let’s continue our nation’s legacy of patriotism and service. The 5th Annual Veterans Day Mass & Tribute, November 11, 2018 was a wonderful celebration! 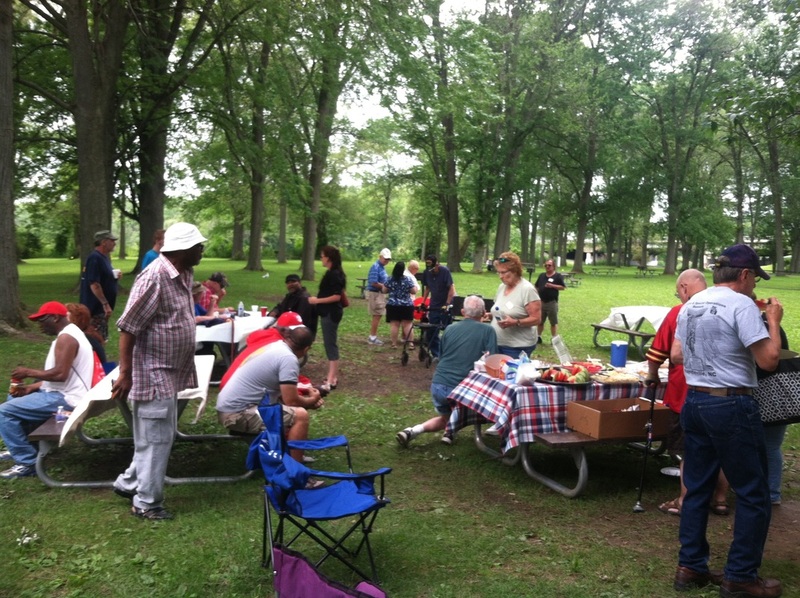 Seventy eight Veterans and their families enjoyed a day of worship, reflection and hospitality. Each Veteran was presented with a small New Testament especially for Service Members which was blessed by Fr. O'Hara during mass. We were all honored by the company of so many parishioners who stayed for the reception. 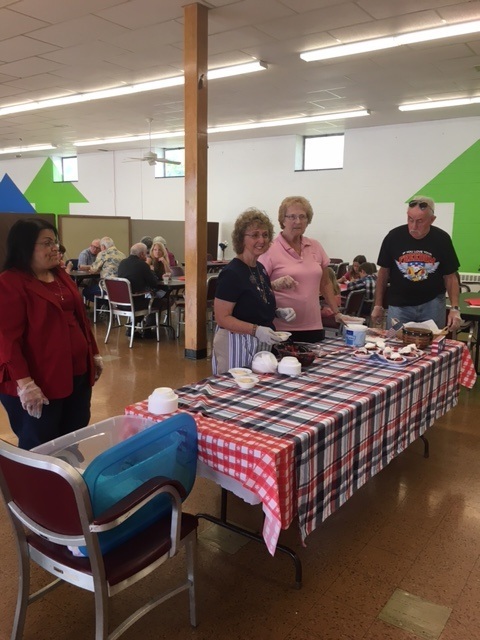 Special thanks to all the bakers, ministry Volunteers, music ministers and Eucharistic ministers whose participation in the mass made the day a special celebration of faith and service! Thank you to everyone for embracing the mission of the Military Ministry, now to be called Shield of Faith Ministry! Since 2013, our goal has been to recognize, remember, thank and help Veterans of our Diocese, parish, and community for their service and sacrifice on behalf of our country. As we welcome a New Year, please remember to pray with respect and gratitude for those who have put "service to God and country before self." Please continue to inscribe the names of any Service Member in the Veterans Books of Remembrance which are at each parish so they may be remembered in our daily prayers. Any Veteran who was unable to attend this year's celebration is welcome to call Anne Marie Lara (315-263-5853) to receive their New Testament gift. Thank you to volunteers Ida Leigh Davis, Dale Hughes and Mike Pichura for representing the Military Ministry at the Hospice of CNY Flag Dedication Ceremony! It was a gorgeous day to hoist the flag in tribute to Veterans from the Hospice community. It was an honor to hear taps played by Dale! The Military Ministry team was warmly welcomed by Hospice CEO Cindy Chandler, Volunteer Coordinator Michele Devlin and all the staff. Mille grazie ! 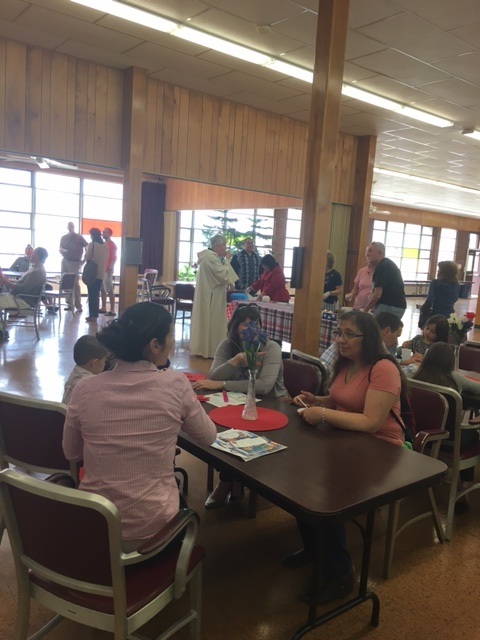 Thank you to all the parishioners who attended Domenica Cena con la Famiglia! Sunday Dinner with the Family was so much fun and it was all because of your presence! Special thanks to all the volunteers including the entertainers, band, hostesses, bakers, cooks and those who donated decorations and memorabilia. 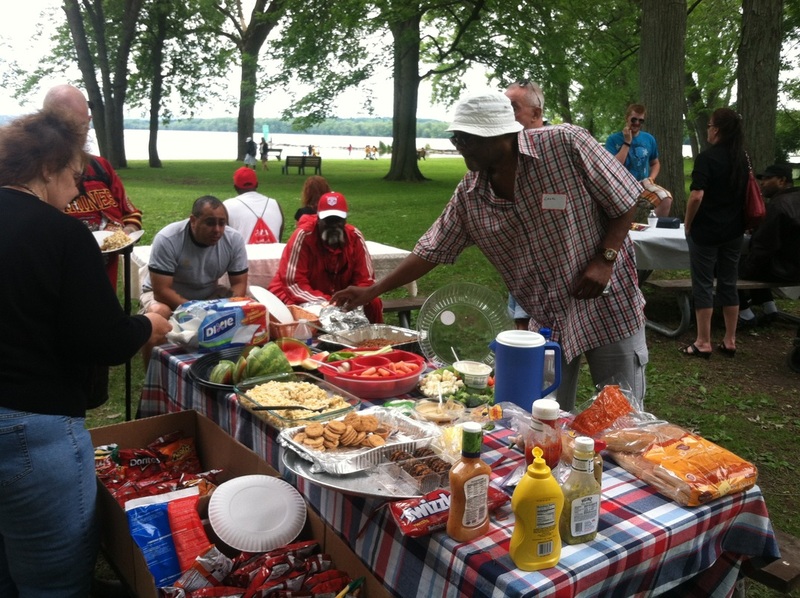 To gather with friends and family after mass is what Sundays are all about! Thank you for your generosity in supporting the Military Ministry! The IHM/SJW Military Ministry hosted a picnic for local veterans at Willow Bay Park at Onondaga Lake on Friday, June 19, 2015. 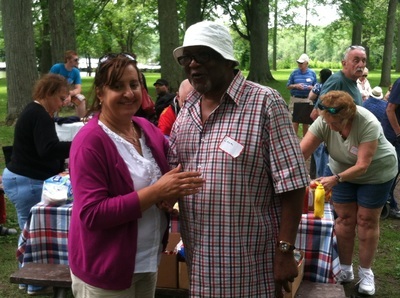 Staff, volunteers, veterans and parishioners shared a day of barbecue and bocce. Thank you to all for sharing this day.